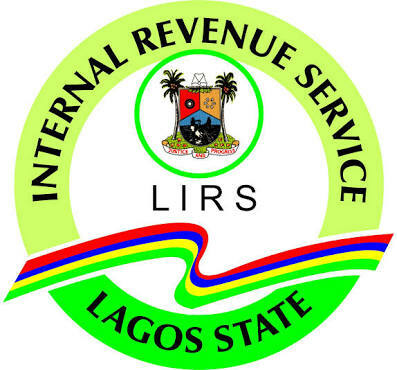 A director at the Lagos Inland Revenue Service (LIRS), Mrs Shade Coker, has declared that there are no cases of multiple taxation in the nation contrary to the widely spread believe, alleging that people use the advantage of lack of information to spread the misinformation. Coker who stated this during the official launch of Tax pal Nigeria, a platform that makes tax solution easy stated that taxation is Nigeria seems cumbersome due to inadequate information about system of taxation in the country. She said that tax Taxpal is that friendly tax café that serves taxable Nigerians and Nigerian residents with spot on tax information required to help them fulfil their end of the social contract – pay their taxes. She said the law requires records to document all of tax deductions, urging Nigerians to demand payment details and report any agency they feel their transaction is not transparent in order to remove the challenge of the multiple taxation they experience. On complaints of multiple taxation, Coker said “Let me say once again that we do not really have a situation of multiple taxation. You only have multiple taxation when you pay the same tax to different tiers of government. Also, she identified taxation of electronic related businesses as one of the greatest challenges confronting the payment of tax in Nigeria. Tax problem increase because this online transaction and businesses are difficult at the moment for one to capture, so their payment becomes really difficult to track. In the same vein, the Chief Operating Officer of the Firm, Jide Banjo said the government has the responsibility of being transparent and efficient with how the taxes are spent. Tax apathy and evasion can be reduced where there is high level of transparency and visible development. Banjo stressed the importance of taxation in any economy, which cannot be overemphasized, noting its effects remain significant. “It helps greatly in the redistribution of income and gives the government funds that it can use to finance public services such as provision of adequate national security, public infrastructure, social security services, power, roads network and a host of other social amenities. “The ability of the state or in broader view, a nation to generate a substantial amount of revenue from taxes opens up opportunities for it to provide public services and improve the economy. He said At a recent tax stakeholder forum organized by PwC, a survey was conducted to find out why many Nigerians do not pay tax. The result was insightful but not surprising; 70% said it is because people cannot see taxpayers’ money at work, 22.5% said it was due to the tax rules that are unclear and compliance process being too complex while 7.5% said it is due to poor enforcement by tax authorities. More so, Banjo stated that the National Bureau of Statistics (NBS) recently released tax collection data of all 36 states of the federation, which totaled N683.6 billion out of which Lagos state accounted for N268 bn. Uniquely, Lagosians amongst many other states can see infrastructural advancement as dividends of their tax remittance. “We believe that this development is only a tip of the iceberg when over 50% taxable residents pay their taxes instead of the 10million footing the bills of 77million as earlier mentioned. He citing the Vice Presidents Yemi Osinbajo statement while he was speaking at the 20th annual tax conference of the Chartered Institute of Taxation of Nigeria (CITN) held in May this year, Osinbajo said, “as of May 2017, only 14 million economically-active Nigerians paid taxes. That number is now in excess of 19 million, and still growing,” That is good news for us at Taxpal. We are charged to help increase that number exponentially he said.